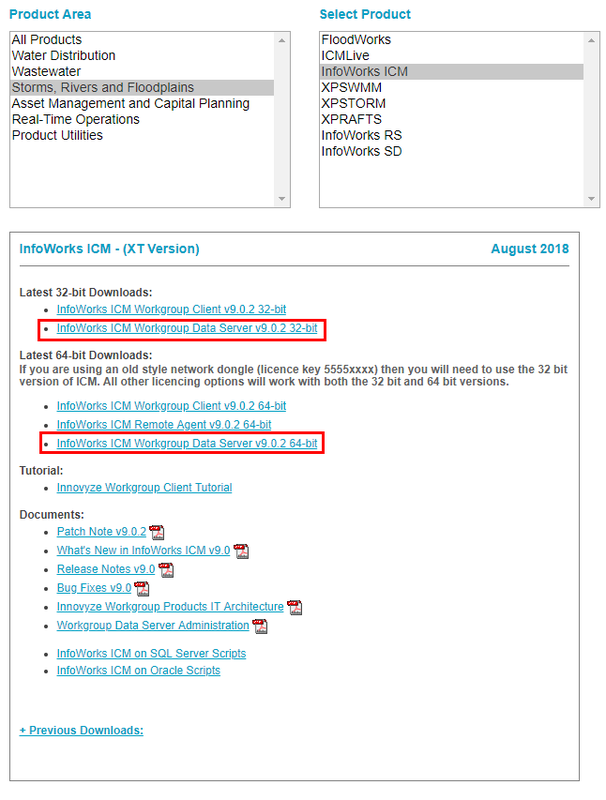 Which type of database to use in InfoWorks ICM: Standalone or Workgroup? The Standalone DB is represented by an .icmm file whereas the Workgroup DB is represented by a .sndb folder. It is important to note these two types of DB are totally independent from the type of licence (floating or standalone). These two types of DB are available whatever type of licence is used. For the users who might already use the wrong type of DB, taking huge risk of DB corruption, a part of this article details step by step how to convert a standalone DB into a Workgroup DB. A Standalone database (DB) is dedicated for a single user working independently. All the data from the DB is only accessible to this user. Only this user have all the rights and permissions on the DB. Another user will not be able to work with the data and would only be able to view the data. This part is the first key point. Another key point is that the Standalone DB must be stored on a local drive of the user computer. It should not be stored on a server or a network drive. If a user tries to do so, there will be no error message. Nonetheless, the user will take huge risks to corrupt the DB, especially if a micro disconnection happens during the commit process. If a user works independently but wants to store the data on a server or a network drive, the Workgroup must be chosen. Note: using a Standalone DB is not a break to exchange data or results. The transportable DB will have to be used. Unlike the Standalone DB, the Workgroup database manages multiple users. Several users can have access to the same DB. A conflicts manager allows to securely have several users working on the same network. Moreover, this type of DB allows to securely store data on a network drive or on a server. What is the Workgroup Data Server? Only modified data is sent between Workgroup Client and the Workgroup Data Server. The Workgroup Data Server is the only process accessing the data, so it can be located on a local disk on the machine running Workgroup Data Server. The same Workgroup Data Server can be used for many different databases. The Workgroup Client (user interface) communicates with the Workgroup Data Server with TCP/IP. The default port is 40000. It can be modified with a configuration file. The Workgroup Data Server can be downloaded on the same web-platform to download InfoWorks ICM. You must use your own login and password to access the download. For each new version of the Workgroup Client, the same version of the Workgroup Data Sever should be installed. The Workgroup Data Server is available in 32 and 64 bits. We recommend to use the 64 bits version, as for the Workgroup Client. Once the installation file is downloaded, it should be executed on the machine hosting the DB to install the Workgroup Data Server. Be careful, it is important to install the Workgroup Data Server on a local drive. By default, the installation is done on the main hard drive. This location can be modified but must stay a local drive. Note: with standard Workgroup Database, it is not necessary to use a snumbat.ini file. It is used only if you want to change the default parameters. The following table indicates the key words and values to use in the configuration file. Port Specifies the TCP port number to listen on. The default value is 40000. TCP port number to listen on. LogToFile Choose where to find the log output. 1: log output is sent to a file called snumbat.log in the root of the WDS Data Store directory. LogLevel Specifies the log level treshold. Each level adds more details. DisableReverseDNS The Workgroup Data Server uses reverse DNS to lookup the name of incoming connections. If reverse DNS is not setup for your network this lookup might add a second or two to each connection to the Workgroup Data Server. Settings this paramater to 1 will disable the lookup. AllowDatabaseCreation Allow the creation of the database. Only the Workgroup Data Server needs to have access to the files in the DB (files within the .sndb folder). For a better performance, they have to be stored on a local drive of the machine running the Workgroup Data Server. In other words, the Workgroup databases must be stored on a local drive on the computer running the Workgroup Data Server (keyword DataPath). The default location for the Workgroup databases is C:\ProgramData\Innovyze\SNumbatData. For each database, there is a .sndb folder identified by the name of the database. Be careful, the files within the folder representing the database must not be modified out of the user interface. Enter the name or IP of the server, which will host the DB. Choose the communication port (40000 by default if not changed in the configuration file). Click on Connect. A message should indicate that the connection was successful. Create or browse the database by clicking on New or by choosing from the list menu. How to convert a Standalone database into a Workgroup database? Install the Workgroup Data Server on the machine that will be hosting the database. The installed version should match the Workgroup Client version. In option, configure the Workgroup Data Server to use a different port or the location of the database (by default C drive). If the point 2 is used, you should restart the Innovyze Workgroup Data Server service. In the user interface, create a new Workgroup DB (see previous paragraph). 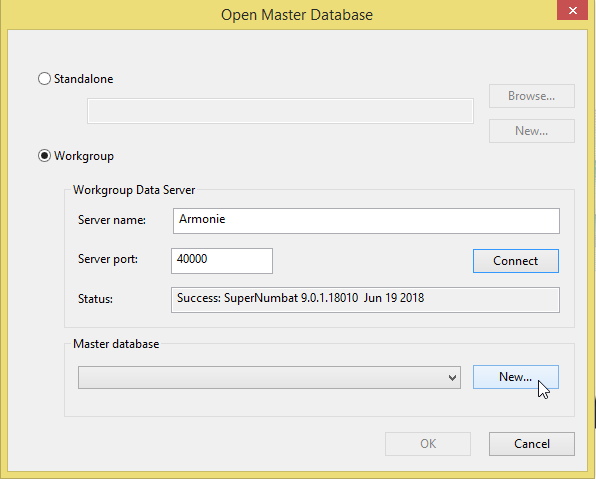 Copy the database objects from the Standalone DB to the Workgroup DB to finish the transfer. You can also transfer data from a transportable DB. The database types (Standalone or Workgroup) are independent from the type of licence. It is the location of the database and the number of user which will determine the type of database to use. The Standalone database is dedicated to a single user and must be stored on a local drive (not on a server and not on a network drive). The Workgroup database should be chosen when there are several users or when the location of the database is on a server or a network drive. To use a Workgroup database, you should install the Workgroup Data Server on the machine hosting the database. The Workgroup Data Server should be install on a local drive. The Workgroup Data Server is a server component, which allows the communication between the user interface and the database. The arrival of electronic navigation charts (ENC) in the maritime world has brought a real gain in terms of navigation safety. 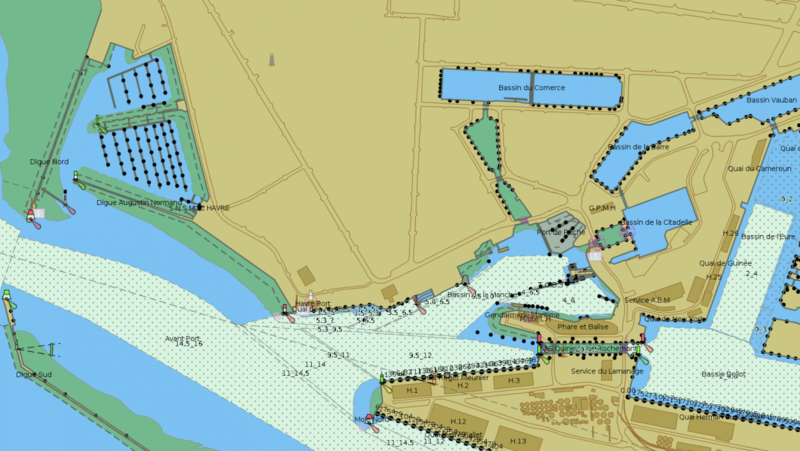 The use of ENCs enables programming a large number of navigation alerts and provides additional information to those presented on paper charts or their digital raster versions (RNC). The use of ENCs is now pretty widespread and there is a growing demand for the most accurate and up-to-date port ENCs. However, the enrichment or creation of ENCs requires a specific expertise and a technology dedicated to digital marine mapping. As such, we are seeing the development of new partnerships between port services and consulting companies capable of providing both an expertise and a technology dedicated to marine geomatics. At the end of the 1980s, the arrival of the electronic navigation systems in the maritime world profoundly changes the way of sailing. Coupled to a GPS and based on digital marine charts, the electronic navigation systems enable real time monitoring of ship position on the marine chart as well as supervising a planned route. The use of electronic navigation systems is quickly seen as a major step forward for the safety of navigation and its usage is formalized in 1995 by the International Maritime Organization (IMO). From this date, all electronic navigation systems respecting the IMO resolutions on the “Performance standards for electronic chart display and information systems (ECDIS)” becomes officially usable to navigate and it may no longer be required to use paper charts. However, what do we mean by digital marine chart and on what type of digital marine chart should an ECDIS rely to exempt mariners from leaning on a portfolio of up-to-date paper charts? Broadly speaking, we can say that there are two very distinct types of digital charts: the raster charts and the vector charts. Only the vector charts based on the S-57 standard can prevent the mariners, operating a certified ECDIS, from maintaining a portfolio of paper charts. The raster navigational charts (RNC) are paper charts that have been scanned, georeferenced and encoded into a digital pixelated image (e.g. in arcs, bsb or geotiff format). Their resolution and their volume (weight in bytes) depends on the number of pixels inside the image. Higher is the image resolution, higher is its number of pixels and larger is its volume. A first drawback concerns the very large volume of data to manipulate and manage. A raster chart uncompressed in Geotiff format can easily reach hundreds of Megabytes (MB), which is considerable for a single chart. 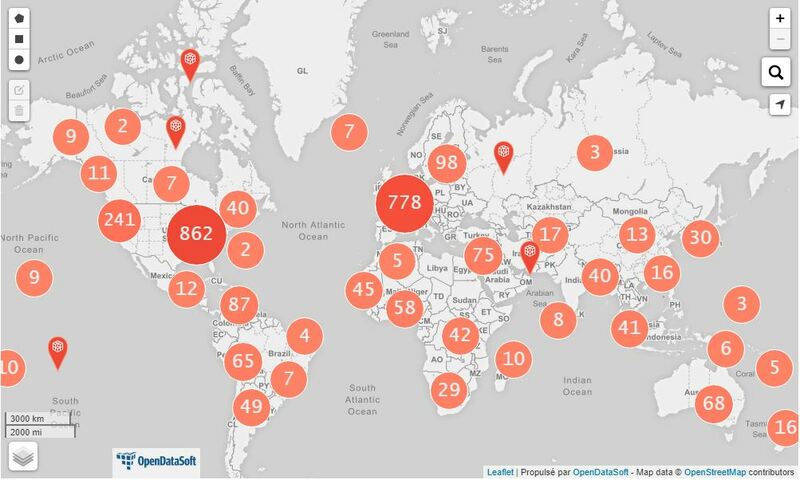 As a result, everyone can imagine the volume of a database composed of dozens of raster charts. A second drawback relates to the charts update. Beyond the large volume of data to be updated, the raster charts structure makes difficult their incremental update and it is often easier to replace the modified charts by their newer versions. In this case, the mariner may no more visualize the differences between old and new charts. A third drawback refers to the lack of additional information. 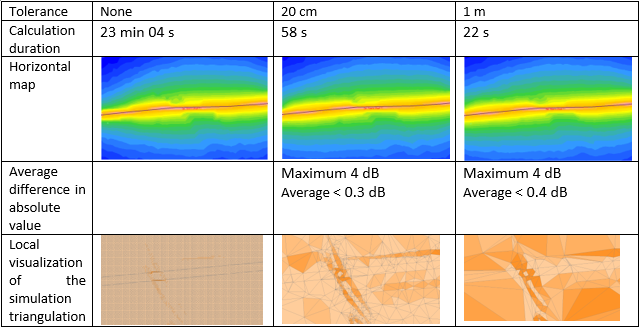 A raster chart consisting of a single layer of pixels is not queryable. The raster charts do not include additional information or detailed descriptions of each of the objects making up the navigational chart. It also precludes to link these objects to external resources such as diagrams, sketches or pictures. A fourth drawback stem from the unchangeable nature of the raster chart. Just like a paper chart, it is impossible to benefit from a dynamic display of the information presented, depending on the context of navigation. For example, screening objects depending on the scale of navigation is infeasible. Likewise, adapting the safety contour drawing, separating safe from unsafe waters, according to the draught of the ship is also infeasible. The last drawback, and not the least, addresses the safety of navigation itself. The raster charts do not allow programming navigation alerts based on information coming from the chart. As such, it is impossible to raise anti-grounding alerts when the ship approaches an area whose depth is unsuitable to the vessel’s draught or when the ship is under way to a particular danger. The vector navigational charts are much more than simple digital reproductions of paper charts. They are structured dataset containing a lot of additional information compared to those presented on the raster ones. 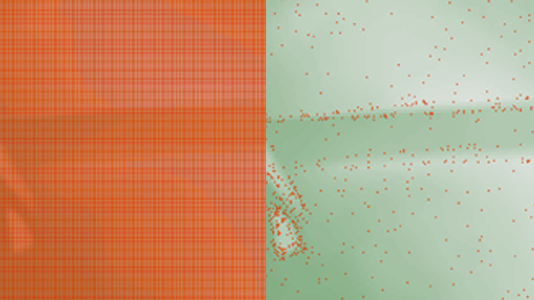 In other words, vector charts are not just a mere grid of pixels, but instead a real set of geometric primitives and geographical features allowing the on the fly generation of a digital image whose resolution depends on the quality of the screen on which the image is displayed and on the software that has generated it. 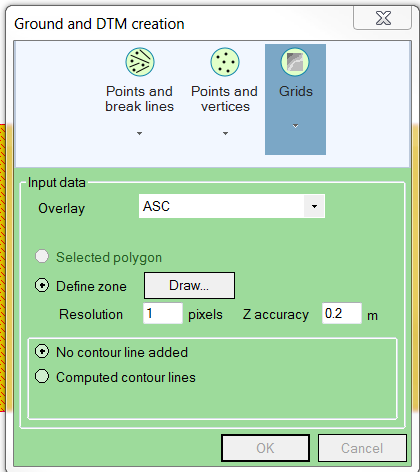 As for the navigation raster charts, vector navigation charts may exist in different formats. It may well include the S-57 format from which are produced the electronic navigational charts (ENC) or the additional military layers (AML). It may also include the “vector product format” (VPF) from which the digital nautical charts (DNC) of the “National Geospatial Intelligence Agency” (NGA) are produced. A first advantage is the reduced size of the cells. The ENC specification does in fact require that the size of an ENC remains smaller than 5 MB. In practice, a cell often weighs much less than this. As such, a set of ENCs is much thinner than a set of RNC. A second advantage is the ability to easily integrate updates. The differences between the base cell and those resulting from the updates are stored and thus easily accessible. The ECDIS also grants the possibility to create (or remove) its own manual updates. In this case, the content of the chart is not changed. Instead, it just adds a visual artifact. A third advantage is the possibility of using a customizable portrayal. The S-57 standard applies only to the data structure and does not, in any way, include display rules. The ECDIS display of an ENC is driven by the IHO S-52 standard. However, it is quite possible to apply other types of portrayal. The use of the S-52 portrayal rules is mandatory only if the mariner wishes to operate its electronic chart system (ECS) in ECDIS mode. The S-52 relies on the topology of the S-57 standard to implement display priority rules (e.g. when a geometry is shared by several objects). For any other type of electronic chart system, such as those used for recreational navigation, each manufacturer is free to apply its own display rules. Technically, an ENC may very well be displayed with the same look and feel as the paper charts. A fourth advantage, still related to the display, is the configurable nature of this display. The user can choose to display any given object according to their preferences. ECDIS happens in fact with 3 display modes, ‘Base’, ‘Standard’ and ‘Full’. The ‘Base’ mode corresponds to the minimum display. Objects grouped in the ‘Base’ profile can never be hidden. The ‘Standard’ mode is the default and recommended display configuration to navigate. It contains all of the objects considered as critical for the safety of navigation. The ‘Full’ mode displays all the available objects. Generally, manufacturers include a fourth ‘Custom’ mode that allows the user to create and apply specific configuration. A fifth advantage relates to the queryable nature of all the objects making up the chart, giving access to a whole lot of additional information. These pieces of information may take the form of symbology descriptions, depth values indications, navigation instructions, guidance, and so on. It may also take the form of diagrams, drawings, photos and any other types of media available as external data source linked to the queried object—as long as it is packaged in tif, gif, jpeg, txt, or pdf format. A sixth advantage relies on the configurable nature of the safety contour. Each ship has a specific draught that may evolve depending on its load. It is very useful for mariners to be able to configure this draught in the ECDIS and benefit in return from an adapted safety contour and a suitable differentiation between safe and unsafe waters (i.e. white and blue colors). Finally, one last advantage, and probably the most important one, refers to the possibility of setting up navigation alerts. These navigation alerts may depend on the configured safety contour as well as the information contained in the ENC. As such, wrecks, obstructions and other dangers, restricted areas, or bathymetry data are as much information that can be used to raise navigation alerts. The world production management has also significantly changed since the appearance of the ENC. In the past, each producing agency could propose marine charts all over the planet, even if those were overlapping with other charts produced by other agencies. Besides, the responsibilities in case of mapping errors could be somewhat hazy. Accordingly, the producing agencies of official ENCs have found themselves forced to share the global production, so that the mariners may benefit from the most up-to-date ENCs on the largest part of the globe. This resolution helps avoiding ENCs duplication as there may only be one ENC per given area. 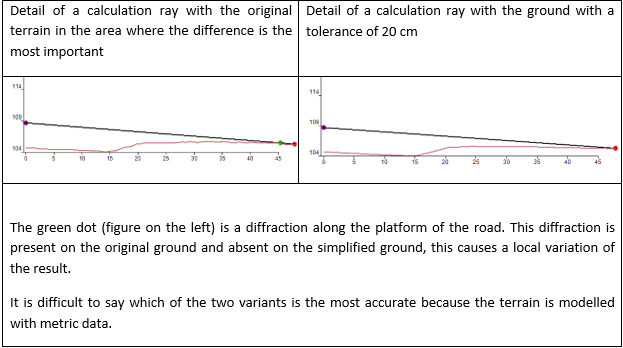 If the geographical footprints of two cells of the same scale band overlaps, only one of both must contain data on the overlapping area. Cartographers use the meta-objet M_COVR and its CATCOV attribute equal to 1 to indicate an area containing data, and CATCOV equal to 2 to indicate an area of no data. In addition, any official ENC is necessarily published under the authority of an IHO Member State. Indeed, since the liability of the authority publishing an official ENC may be engaged in case of mapping error, and considering the cost of the damages that may represent the grounding (or the shipwreck) of a ship, it is understandable that only a State may be allowed to take this kind of responsibility. Therefore, there are two types of ENC: official ENCs produced under the authority of a State through its national hydrographic agency and unofficial ENCs produced by other organizations. 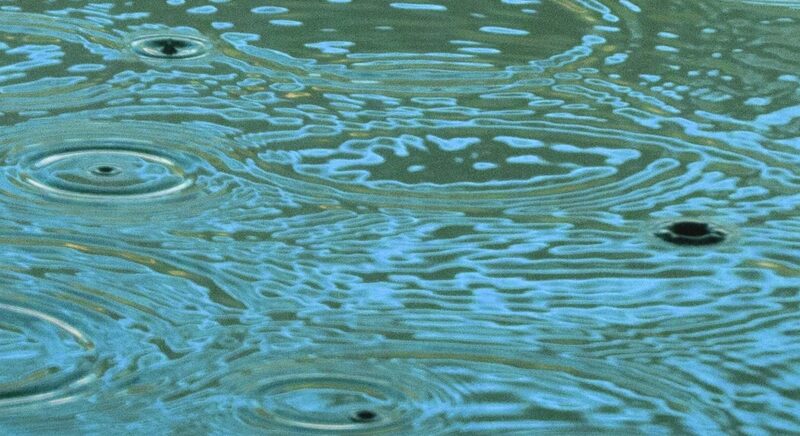 It is worth noting that a private company may still be mandated by a national hydrographic service to help in the production of their official ENCs. A need to enrich the official ENCs portfolio by more specific ENCs was issued by many port services, including French ones. This is, for instance, the case of the port pilots of Marseille-Fos and Nantes – Saint-Nazaire or the technical services of the Nantes – Saint Nazaire Port Authority, the Ports of Normandy Authority (PNA) and the Grand Port Maritime du Havre (GPMH). However, modifying, enriching or making an ENC requires a very specific expertise in digital marine mapping in order to meet the quality requirements of the ENC specification. For instance, an ENC that does not respect the topological structure required by the S-57 standard may appear correct at first glance, but alter the proper functioning of the ECDIS and Pilot Port Unit (PPU). This type of expertise is generally only available within national hydrographic offices or within agencies specialized in marine geomatics. In addition, modifying, enriching or making an ENC also requires to rely on a technology dedicated or at least adapted to this activity. It is worth noting that the traditional geographic information systems natively lack features dedicated to the publication of S-57 ENCs and do not implement the quality control procedures defined in the standard S-58. Therefore, we see that port services are starting, more and more, to develop partnerships with consulting companies able to provide both an expertise and a technology specialized in marine geomatics. 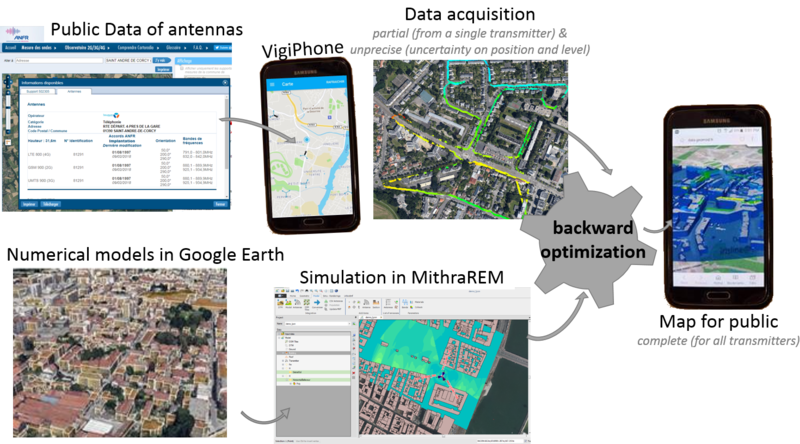 This is typically the case of Geomod who intends to support ports services by providing its expertise around the S-57 standard, its ENC editing software (PortSide), its generator of bathymetric ENCs (Ulhysses), and some custom-built applications (e.g. ePilotBook). 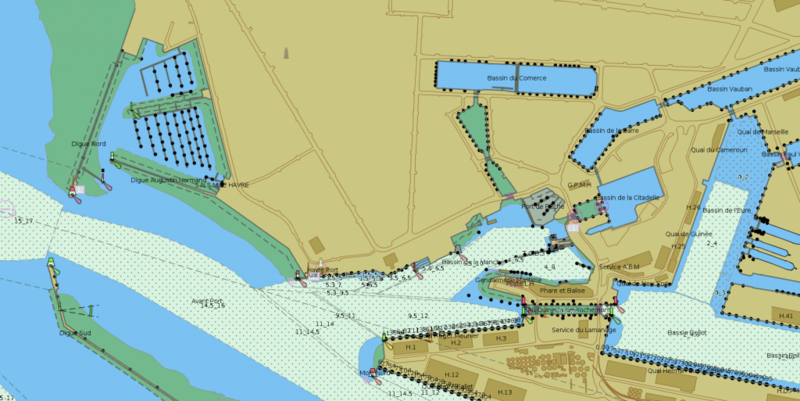 The activity of ENC production support for harbor authorities has started by addressing a request of the Marseille-Fos port’s pilots who needed to integrate the centimeter level accuracy of the port’s topographical survey in the ENCs* used in their aid to pilotage web application based on ePilotBook. We may well include the Nantes – Saint Nazaire Port Authority for whom 7 “Berthing” level ENCs* have been initiated in order to cover the ascent of the river Loire. We may also include the Le Havre port’s pilots who needed an ENC covering the end of the Grand Canal. 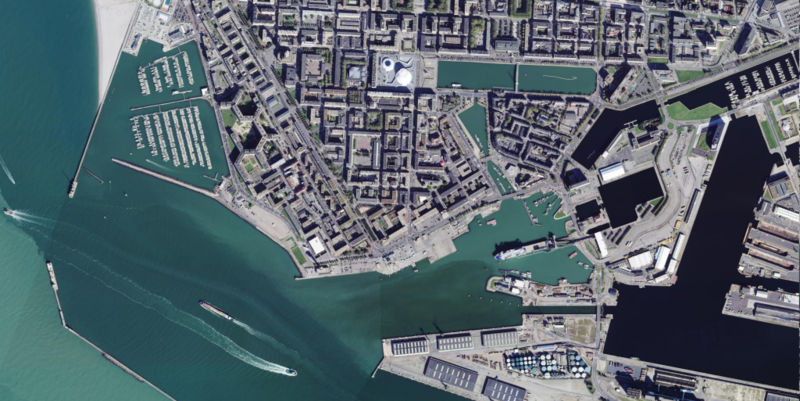 The activity of ENC production support for harbor authorities is now continuing at the request of the technical services of the Grand Port Maritime du Havre (GPMH), that Geomod helps in the production of 15 “Berthing” level ENCs* covering the entire port domain (the port of Antifer, the port of Le Havre, the Grand Canal and the Tancarville canal. * It should be noted that these ENCs are “first release” only meant to provide assistance to the internal ports services.